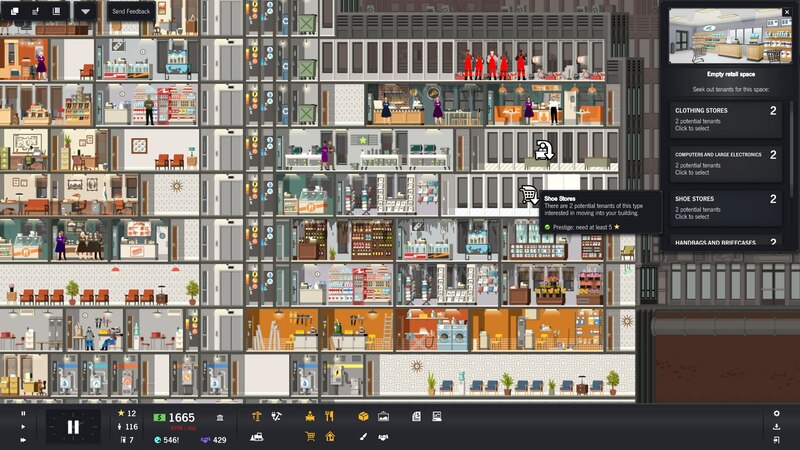 While not all defineable strictly as indie games, yesterday’s trio of additions to the Discord Nitro platform are still undeniably groovy: skyscraper management in Project Highrise, an intergalactic civil war in Sins of a Solar Empire: Rebellion, and Tyranny lets you walk the line between good and evil (perhaps even cross it?). Project Highrise is a skyscraper construction and management sim in which you are the architect and developer of world-famous skyscrapers, masterpieces of art and engineering. From the moment you break ground, every decision rests with you. Will you create an exclusive office highrise that attracts business leaders from around the world? Will you construct luxury apartments in the sky, penthouses for the elite and playgrounds for the famous? Perhaps greed will get the better of you and you’ll build a tenement building that trades tenant happiness for loads of cash. All these choices and more are yours. Success is entirely in your hands. Sins of a Solar Empire: Rebellion is the standalone expansion to the acclaimed space strategy game that pits you in the middle of an intergalactic civil war. Play as a Loyalist or Rebel — each unlocks new technologies, ships and play styles for each race. Take the battle for galactic supremacy to its ultimate level. Tyranny is a classic-styled RPG that casts you as the sole arbiter of law in a world devastated by war and conquered by evil . What definition of justice will you mete out with your words and deeds? The very layout of the world will be altered by your decisions as you choose sides, make allies and enemies, and fight for your own vision of law and order in an immersive and reactive story.